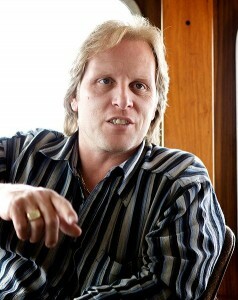 Captain Sig Hansen has dedicated his life to feeding the cravings of monied diners. As beloved captain of the Northwestern on Discovery’s mega-hit reality TV show, Deadliest Catch, Hansen risks his life in the waters of the Bering Sea each and every season to haul in high-priced king crab. He’s seen frigid gales, 30-foot-swells and death at sea – all in the name of a good meal. But when he’s back on land and hanging with his family in Seattle, this dude (who may be the most down-to-earth person on cable TV) likes things simple. Short Order talked to Captain Hansen about Norwegian food, what he craves while he’s out on the water and why chocolate is so addictive.